Looking for economical surgical scissors for your classroom or laboratory? 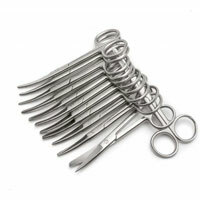 Most of our economy line of surgical instruments are sold in packages of 12. These surgical instruments are perfect for students or for disposable use.